Storage Soup - Page 13 of 218 - A SearchStorage.com blog. Tintri wasted little time finding a CEO to try and boost its sagging fortunes. On Tuesday, the hybrid flash vendor named IT veteran Thomas Barton as successor to Tintri CEO Ken Klein, who announced last week he is stepping down after nearly 4 1/2 years at the helm. Barton, 53, is set to officially take the reins April 2. In securing its next corporate chief, Tintri opted for a choice with industry ties in venture financing and server-storage architecture. Since 2007, Barton has been a founding general partner in Broken Arrow Venture Capital, a Los Gatos, Calif., firm that provides seed funding for bootstrapped startups. Before launching Broken Arrow, Barton served as CEO at Rackable Systems, an enterprise x86 server maker that went public in 2005. Rackable Systems would go on to buy Silicon Graphics International Corp. (SGI) in 2009 — after Barton’s departure — and eventually take the SGI corporate name. Hewlett-Packard Enterprise subsequently acquired SGI in 2016 for an estimated $275 million. As Tintri CEO, Barton’s immediate goal will be to narrow the vendor’s losses amid a major turnaround effort that included laying off about 115 employees. Tintri beat revenue and earnings targets last quarter, but year-over-year product sales were down 41% and net loss widened 48%. Klein was hired as Tintri CEO in October 2013 to prepare the vendor for a run at the public market. Investors provided Tintri with $262 million in venture funding in the run-up to its 2016 initial public offering (IPO) of stock, which netted $60 million in proceeds, but was roughly 40% less than the $100 million Tintri planned to raise. Tintri started out by selling its original flagship VMstore flash storage to enterprises running VMware virtual machines. Of late, the Mountain View, Calif., vendor has concentrated its sales and marketing on hyper-scale organizations looking to build private or hybrid cloud – a market other storage vendors also are pursuing. The new Tintri flagship is the EC6000 hybrid array, which allows an organization to federate and manage 64 Tintri storage systems as a single pool. EC6000 sales were a bright spot last quarter, accounting for roughly two-thirds of product revenue. Barton will be the third Tintri CEO since the vendor’s launch in 2008. Founder Kieran Harty was Tintri’s first CEO and remains on as CFO. Barton took Rackable Systems public in 2005, but he was ousted in 2007 following a string of down earnings. More recently, Barton was CFO at Planet Labs, a seven-year-old firm that deploys a fleet of sophisticated satellite imaging. Finding a way to grow enterprise storage and data protection will comprise a major focus for Dell Technologies this year, company executives told analysts during an earnings call on Wednesday. Dell data storage revenues tumbled 11% to $4.2 billion last quarter, continuing a trend extending back over the vendor’s past several quarters. Full Dell storage revenue for its 2018 fiscal year was $15.3 billion, compared with $8.9 billion a year ago. The year-over-year jump of 71% reflects operating results for the first full year of a combined Dell EMC. Dell posted $21.9 billion last quarter, up 9%, to close its fiscal year with revenue of $78.6 billion. Consolidated full-year results were up 28%. Sagging Dell data storage sales weighed on its Infrastructure Solutions Group (ISG), which also includes networking and servers. Revenue from Dell PowerEdge and Cloud x86-based servers grew 27% to $4.6 billion, helping to offset the decline in storage sales. For the quarter, overall ISG revenue was $8.8 billion. “We have work to do to change the performance of our storage business. Our issue isn’t that we grew our server business too much. It’s that we didn’t grow our storage enough,” said Jeff Clarke, a Dell vice-chairman of products and operations. Dell is hoping a reorganization of ISG will help jumpstart sales going forward. A realignment in February separated converged and hyper-converged infrastructure products in an effort to simplify product categories. Dell data storage is growing in flash, midrange and hyper-convergence, Clarke said. Dell does not disclose number of units sold, but claims it closed last year with a $5 billion run rate for its all-flash arrays. Demand for VxRail hyper-converged infrastructure tripled. Deferred revenue topped $22 billion for the quarter, up $6.6 year over year. That reflects revenue increases in maintenance and consumption-based services. “We are encouraged that we exited the quarter with better storage velocity,” CTO Tom Sweet said, referring to a strategy designed to accelerate Dell data storage sales through the pipeline. Increased focus on midrange Dell data storage products offers another avenue to pursue, said Patrick Moorhead, president of Moor Insights & Strategy in Austin, Texas. “I believe the best way Dell EMC can boost storage sales is to drive offerings more aggressively into the midmarket, where EMC hadn’t traditionally had as much success. Dell traditionally did very well in these segments in PCs and servers. Simplifying the enterprise offering would help too, as it could lead to a more focused sales force and product development,” Moorhead said via email. Revenue for Dell’s VMware segment surged 20% to $2.3 billion last quarter on operating income of $834 million. Bookings for NSX licenses climbed 50%. For the full year, VMware revenue soared 146% to $7.9 billion, although the year-to-year change reflects modifications in how Dell reports consolidated earnings. VMware adopted Dell’s fiscal calendar in February, after previously reporting financials on a calendar-quarter basis. Dell executives did not take questions on the status of internal discussions to explore strategic options. Dell announced in February it was studying a potential reverse merger with VMware as one option. Also under consideration is spinning out Dell EMC storage in an initial public offering. The vendor said it also may keep its present management structure intact. No timetable has been publicly disclosed for a decision. Popularity of Tintri E6000 flash storage helped the vendor beat quarterly revenue and earnings estimates on Monday, but muting the upbeat tone was news of layoffs and CEO Ken Klein’s decision to step down from the job. Tintri said it cut 20% of its workforce last quarter as part of a plan to slash operating expenses 70% by April 2019. Klein said engineering and go-to-market teams absorbed the bulk of the cuts. Tintri said it plans to recognize up to $7.2 million in severance-based restructuring costs. In other moves to strengthen its balance sheet, Tintri gained up to $25 million in incremental financing from a promissory note issued to venture investors, and said it is negotiating with principal lenders to soften the terms of existing debt. Klein’s departure comes a week after Tintri issued layoff notices to an undisclosed number of employees. According to previous filing, Tintri employed 561 people as of April 2017; Klein said Monday that Tintri ‘s headcount now stands at 445 employees.. Klein said he will remain on board to help find his successor. A timetable was not given for finding his replacement. “Tintri is in the strongest position since our public offering in June. I’m very proud of the company we’ve built, and believe Tintri is on the right path. With Tintri on solid footing, I plan to transition out of my role as CEO and will assist in a smooth and orderly leadership transition,” Klein said. It has been a turbulent 12 months for Tintri, which went public in June with an initial public offering that disappointed out of the gate. The equity initially was priced at $11 per share, but opened nearly 40% lower at $7 per share. The stock sold as high as $7.75 and as low of $2.28 during its 52-week range. For the quarter, Tintri posted nearly $30 million in revenue, exceeding its guidance but representing a 29% drop year over year. Analysts had braced for Tintri revenue in the neighborhood of $26 million. Full fiscal-year revenue growth of $126 million was flat at 1%. Earnings per share of 72 cents beat Wall Street estimates by 8 cents, although Tintri’s net loss widened to $37.4 million, compared to $25.5 million in the year-ago quarter. Tintri flash product revenue, which consists of system sales and Tintri software licenses, fell 41% from a year ago ($19.3). Revenue from maintenance and support agreements grew to $9.6 million, up 24%, and nearly doubled as a percentage of revenue to 33%. EC6000 all-flash arrays appear to have surpassed VMstore arrays as the flagship Tintri flash storage. Klein said EC6000 sales generated two-thirds of product revenue last quarter. Recent Tintri flash rollouts included Tintri FlexDrive, which allows customers to expand EC6000 storage capacity on a drive-by-drive basis. International sales accounted for about 32% of Tintri revenue, up from 26%. The remaining 68% of sales were to U.S.-based customers. More than 50 Tintri flash customers were added last quarter, bringing the total number of logo to 1,540. Product gross margin tumbled from 62% last quarter to 57%, bringing overall gross margin down more than four percentage points to 59%. CFO Ian Halifax said industry-wide price hikes for dynamic RAM weighed down product margins. “We expect flash pricing to stabilize but DRAM memory pricing to continue to increase over the near to mid-term,” Halifax said. With Klein headed out the door, it will fall to his successor to try and keep Tintri flash customers from exiting as well. Imanis Data raised $13.5 million in a series B funding round and hired a new CEO as it aims to grow its business to protect next-generation NoSQL databases. The Imanis Data Management Suite protects database platforms such as MongoDB, Cassandra, Couchbase as well as Hive and Hbase. Founder and COO Nitin Donde said the San Jose-based company formerly known as Talena will use the new capital mostly to grow its sales and marketing teams. He said there will also be a “modest investment” in research and development. Imanis Data previously raised $8 million in its series A funding round. Investors in the series A and B rounds include Canaan, ONSET Ventures, Intel Captial and Wipro Ventures. Asset Plus capital is a new investor for the B round. Imanis currently has 40 employees and it now plans to add 10 to 15 more employees. With the new funding, Donde is handing off the CEO position to John Mracek, who was CEO of machine learning company NetSeer and a vice president at eBay and Yahoo. The Imanis Data Management product archives for long-term retention, backup, deduplication and data migration from on-premises data platforms to the cloud. The software uses machine learning to protect data in the event of a ransomware attack, accidental deletion or corruption, and copies production data for testing and development. “We are bringing a new level of functionality to this nascent market,” Donde said. Imanis’ product targets the same database market that recent Rubrik acquisition Datos IO went after. Datos IO RecoverX protects MongoDB, Cassandra, Couchbase and Amazon DynamoDB along with big data file systems like Cloudera and Hortonworks. In February, Rubrik acquired Datos IO to extend Rubrik’s reach into mission-critical cloud applications and databases that are being adopted by application and DevOps teams. Datos IO had $15.3 million in funding since 2014. Nutanix, recently recognized by Gartner as the hyper-convergence leader in the data center, wants to hyper-converge clouds over the next few years. Nutanix continued its strong growth with a 44% year-over-year revenue increase last quarter. The hyper-converged pioneer also Thursday said it acquired cloud management startup Minjar to help it bring its hyper-convergence success to the cloud. During the vendor’s earnings conference call Thursday night, Nutanix CEO Dheeraj Pandey said the market has reached “the inflection point of the journey of hyper-convergence of different data center tiers on a common operation centers using a common software platform. Unlike the early days of hyper-convergence, Nutanix has plenty of competition in the cloud. Almost every vendor is talking about their multi-cloud capabilities, and how they are enhancing those. In an interview with TechTarget after the earnings call, the Nutanix CEO laid out Nutanix’s strategy for applying the fundamentals of on-premises hyper-convergence to multi-cloud data management. It involves rebuilding the Nutanix Prism management stack, integrating technology from Minjar and the Calm cloud orchestration technology Nutanix bought in 2016. Pandey said Nutanix will bring features such as replication and high availability across clouds, just as it did across all x86 server platforms. “All the hypervisor features in the last 15 years will come together in multi-cloud,” he said. But Pandey said this scenario is three to five years away from fruition. “It’s misleading to say this will happen in the next few months or so,” he said. Nutanix reported revenue of $287 million, up from $199 million a year ago. The vendor forecasted revenue of $275 million to $280 million this quarter, which compares to $206 million a year ago. Despite its revenue growth, Nutanix still lost $63 million last quarter. That’s down from $76 million in the same quarter last year. Pandey said he is unconcerned about the losses because Nutanix has positive free cash flow – which is cash flow from operations minus capital expenditures. Nuanix had $32 million in free cash flow last quarter compared to $7 million a year ago. Nutanix reported sales through OEM partner Dell accounted for close to 10% of total bookings in the quarter, and included three deals of over $2.5 million. Lenovo OEM deals included four deals of more than $1 million, and Nutanix landed its first customers from its OEM deal with IBM last quarter. Nutanix also reported million-dollar software-only deals with customers running its software on servers from Cisco and Hewlett-Packard Enterprise facilitated through channel partners. Pandey said he is hopeful that these deals could lead to formal partnerships with those server vendors. Pandey estimated that 35% of Nutanix customers use non-branded appliances, and he expects that to grow to roughly half over the next 18 months. But he said the branded NX appliances will remain a key focus point even as Nutanix expands its partnerships. Pandey said 30% of HCI nodes sold on Nutanix branded appliances include the vendor’s AHV hypervisor along with or in place of VMware or Hyper-V hypervisors. Pandey said he is not worried about what a possible Dell-VMware reverse merger might do to Nutanix’s complicated relationship with Dell. Dell is Nutanix’s oldest and largest OEM partner, but Dell-owned VMware competes with Nutanix as the leading software for running hyper-converged appliances. Pure Storage has joined the billion-dollar club. On Thursday, the all-flash provider completed two long-sought goals by posting fiscal-year revenue of $1.023 billion, up 41%, en route to achieving non-GAAP profit. Pure Storage revenue last quarter shot up 48% year over year to $338.3 million, topping the $332 billion consensus. Product sales ($277.4 million) and support revenue ($61 million) each was up 48%. Earnings per share of 13 cents beat Wall Street expectations of 7 cents. It marked the second straight quarter that actual Pure Storage revenue exceeded high point guidance, and it came in two points above the midpoint range. Aiding the vendor’s surge last quarter was the addition of 500 customers. The list includes Advance Financial Corp, Jenny Craig, Mid America Pet Food, Portland Trailblazers, Suzuki Motor of America and the Texas Rangers. Pure claims it now serves more than 4,500 customers, up nearly 50% from a year ago. “It’s been nearly two decades since an independent company in our industry has reached this revenue scale (this rapidly). We achieved the $1 billion milestone in just over eight years since our founding,” Pure Storage CEO Charles Giancarlo said. Sales of all-flash FlashArray accounted for 20% of Pure Storage revenue last year, including demand for the NVME-based FlashArray//X unstructured data array. Another highlight, Giancarlo said, was Pure producing a full year of operating cash flow ($72.8 million) and free cash flow ($7.7 million). Although best known for storage hardware, Pure Storage last year added synchronous multisite replication and active-active clustering to boost remote backup. Pure Meta1 analytics also was added for storage for emerging uses in advanced analytics, AI, machine learning. Pure will try to build on that software-defined product emphasis in 2018, Giancarlo said. Getting cash-strapped IT customers to move upstream is always a challenge for vendors, but Pure highlighted gains there as well. About 70% of Pure Storage revenue last year stemmed from repurchases by existing customers, President David Hatfield said. “Our increasing focus (to move customers) up market is working. The number of customers that spent more than $1 million with Pure doubled versus last year,” Hatfield said. For its 2019 fiscal year, Pure Storage issued non-GAAP revenue guidance in the range of $1.31 billion to $1.36 billion. In a year marred by ransomware attacks large and small, catastrophic natural disasters and other IT outages, that’s a valid question. But how are organizations handling the disruptions and IT resiliency planning? Generally, not that well. “Overall, IT departments exceeded their maximum tolerance for downtime during a failure, a weakness that must be addressed,” said the Syncsort report, “The 2018 State of Resilience,” which surveyed 5,632 global IT professionals between January 2017 and July 2017 and came out last month. “It continues to surprise us that organizations feel underprepared to deal with disasters,” said Terry Plath, vice president of global services at Syncsort, an enterprise software provider. Only half of respondents met their recovery time objectives after a failure, according to the report. Eighty-five percent of professionals had no recovery plan or were less than 100% confident in their plan. For those IT professionals whose organization suffered data loss, when asked how much was lost in their most significant incident, 28% said they lost a few hours and 31% lost a day or more of data. The IT resiliency report found that many of the reasons for data loss involved lack of a quality backup. In order, the top primary reasons for the data loss were: Old backup copy, human error, lost data was in memory and no backup was made, malfunction in data protection platform, and data protection platform was not configured to back up the specific data. Thankfully, when IT professionals look ahead the next two years, 45% say high availability/disaster recovery (HA/DR) is a chief IT initiative, second only to security at 49% and just above cloud computing at 43%. And in choosing top IT issues of concern in the coming year, 47% said business continuity/high availability, 46% said the ability to recover from disaster and 45% said security/privacy breaches. Specifically regarding high availability or disaster recovery, businesses’ top initiatives in the coming year are tuning or reconfiguring the current HA/DR platform, expanding the current HA/DR platform to cover additional servers or data, adopting new technology to augment the current HA/DR, and incorporating cloud or hosting technology into the HA/DR strategy. Surprisingly, when asked which technologies organizations use for data protection and archiving, just under 50% said tape backup, the second most popular answer behind hardware and storage replication at slightly over half. Plath recommends several steps for a solid IT resiliency strategy. It starts with defining and documenting the disaster recovery process. Organizations then need to have the right tools in place and make sure that recovery time objectives and recovery point objectives are acceptable. They must ensure that IT staff or the third-party support providers are trained and up to speed on the DR platform. And then there’s resilience testing. Organizations should take the time to schedule HA/DR switch tests. Companies should also have run books in place that define what needs to happen in a disaster, but many don’t, Plath said. The IT resiliency study is a continuation of the annual survey conducted for the last 10 years by Vision Solutions, now part of Syncsort. Hewlett Packard Enterprise storage sales rebounded last quarter, thanks to the addition of Nimble Storage and an improvement of the 3PAR SAN platform. HPE storage revenue of $948 million grew 24% year-over-year last quarter. That’s not quite as impressive as it sounds, because most of that growth came from Nimble, which HPE had not yet acquired a year ago. Still, HPE storage increased 11% in apples-to-apples comparison from a year ago – matching the growth of HPE’s overall revenue in the quarter. That follows five percent growth in HPE storage revenue last quarter. In the first two quarters of last year, HPE storage revenue declined year-over-year. Antonio Neri stepped up from HPE president to replace Whitman as CEO this month. Besides bringing more revenue, the Nimble deal gave HPE storage the InfoSight predictive analytics technology. HPE now uses InfoSight in all of its storage arrays, brining artificial intelligence into systems monitoring and management. Flash was another driver for HPE storage growth. HPE execs said all-flash array revenue increased 16% year-over-year. While that’s less of a spike than other large vendors are gaining from flash – NetApp’s all-flash sales increased 50% last quarter – it shows flash is increasingly driving enterprise storage sales. “We expect to see solid continued performance in storage,” Neri said. HPE also said its hyper-converged inftrastructure revenue grew more than 200% over last year. That’s also misleading, because HPE hyper-convergence is based on its acquisition of SimpliVity in January 2017. HPE did have a hyper-converged product before SimpliVity but had little success with it, so most of the revenue comes from a product HPE did not have year ago. Neri said the hyper-competitive hyper-convergence market is now an area HPE is placing a great deal of focus on. The question ‘Where is Chad Sakac?’ got answered this week: by Chad Sakac. The former president of the Dell EMC converged infrastructure division (formerly known as converged platforms) said he will join Dell’s Pivotal Software subsidiary in April to guide development of the Pivotal Container Service. Sakac appeared to be the odd man out following a February reshuffling of the Dell Infrastructure Solutions Group (ISG). He informed readers of his blog this week that Dell EMC and the converged products are “in my rear-view window.” He did not specify his new job title, saying only he would be the “glue” among Dell EMC storage, Pivotal Cloud Foundry (PCF) and VMware product development for DevOps customers. Pivotal Container Service (PKS) stems from VMware’s partnership with Google. The “K” refers to Pivotal’s reliance on the Google Kubernetes orchestration framework. “My role is to be part of the team that is laser-focused on driving the success of Pivotal Container Service (and the rest of PCF) together with the teams at VMware and Dell EMC. The job is simple – helping make our aligned Dell Technologies developer platform come together…” Sakac said. Dell Technologies in February realigned ISG, placing VCE converged infrastructure under the Servers unit, headed by Ashley Gorakhpurwalla. 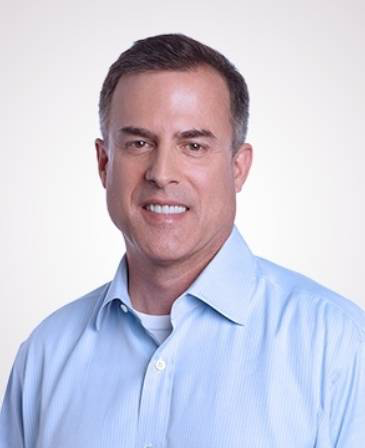 The converged and hyper-converged infrastructure products, including VxRack/VxRail and Nutanix XC Series, shifted to the Dell EMC storage division, led by EMC veteran Jeff Boudreau. Dell EMC’s management moves emerged against a backdrop of other potential changes under consideration. Dell Technologies CEO Michael Dell has acknowledged his company is exploring strategic options to unload debt related to $60 million EMC merger in 2016. Options reportedly being mulled include an initial public offering of the Dell EMC storage business, or allowing VMware to acquire Dell Technologies in a reverse merger. It’s also possible – some experts say it’s likely, in fact – that Dell will keep its present structure intact. The vendor has not publicly disclosed a timetable for its decision. That role now appears to be defined. On his blog, Sakac said he supports the Dell Technologies reorganization as a way to make converged storage a more useful tool to support development of cloud-native applications. “The CI business is finding a new gear. In 2017, we lost some ground – but maintained our No. 1 position. That trend changed in the second half – and the CI business and primary storage show that. CI is essential to the primary storage business of Dell EMC. There are thousands of customers who depend on Dell EMC CI to be the foundation of their data center(s) – and have moved up to consume infrastructure,” rather than as a building blocks.